Had a nice surprise this morning at the top end of Caldene fields by the heather patch. 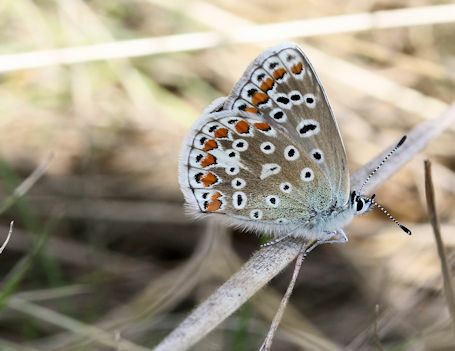 Firstly I disturbed a newly emerged male Common Blue butterfly. 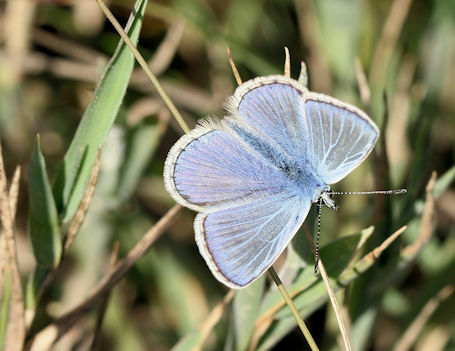 Sadly the Common Blue has not been as common in our area for the last few years. And I have no records from Raw Nook NR this year so to find this male was very welcome. But then as I walked a bit further a female Common Blue again freshly emerged was enjoying the sun.